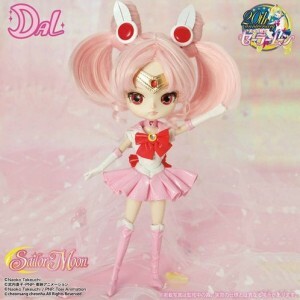 The release of the next Pullip collaboration series has finally been decided : Sailor Chibi Moon x DAL! Dal is the little sister of Taeyang, the boyfriend of the fashion doll Pullip. – Her body is highly articulated as such very posable. The release is scheduled in late May 2015. Retail price : 17,000 yen.